If the solution finds that bandwidth is not being used during a specific time of day, it identifies this “blank spot” and uses the information to help the cable service provider develop special offers and discounts that can increase usage. 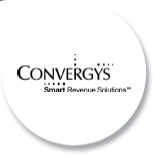 By providing real-time connectivity between all back office systems, Convergys Active Mediation Manager can positively impact capex and revenue management, ensuring that the cable service provider invests in solutions that best control network utilization and reduce or eliminate revenue leakage. As part of the Convergys Smart Suite, Active Mediation Manager is the industry’s first complete unified mediation solution designed to simultaneously handle both IP and traditional services. Unique in the industry, the solution is the only mediation offer that serves as a single platform for the collection, guidance, aggregation, enrichment and storage of IPDR data. The ability to support multiple services in one convergent mediation environment, which is modular and adaptable in design, provides a significantly faster ROI model than legacy mediation solutions that are constrained by conventional “line of service” specifications. Highly configurable without customization and with unparalleled flexibility, unlike other mediation solutions, it can process traditional telephony usage records in batch mode while simultaneously processing real-time IPDR records to mediate video or high-speed Internet usage. Part of the job of protecting that investment is vigilance on network usage. In this capacity, Convergys Active Mediation Manager lets cable service providers identify third party traffic generated by overthe-top players, to inform and improve their competitive strategy. After investing hundreds of billions on advanced infrastructures, cable service providers have every incentive to maximize their value. The tools are at hand to better manage and monetize bandwidth. Cable service providers recognize the need to take action. Those that adopt advanced “Smart BSS” solutions will be tomorrow’s leaders, able to quickly capitalize on whatever new market opportunity the future may hold.